When going to the doctor for a simple bacterial treatment, you wouldn’t think of it as a risky venture. But one antibiotic has been showing some concerning side effects lately. 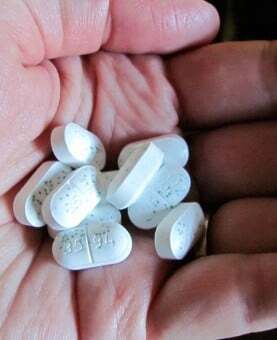 The US Food and Drug Administration has called for an update to the warning labels on Ciprofloxacin (or Cipro). Actually, the updates will take place across the whole family of antibiotics, called fluoroquinolones, due to mental health and low blood sugar side effects. The updates stem from the FDA’s most recent review of several case studies and adverse event reports. According to a press release, the organization found several cases of the drugs causing comas due to patients’ dangerously low blood sugar levels. Of course, people should be made aware of these effects so that they can choose a less risky option if needed. Officials also thought it important to emphasize the drugs’ mental health side effects already listed. Companies will now need to make the mental health warnings both prominent and consistent across individual drugs. Cipro specifically has been used in the past for such problems as skin infections, urinary tract infections, gonorrhea and bacterial pneumonia. This recommendation seems appropriate given the growing number of serious warnings about the drug. Author and editor Beth Skwarecki even noticed the unusual listing “tendon rupture” on a bottle she was once prescribed, according to her article on Lifehacker. According to Everyday Health, this strange tendon effect may include swelling and stiffness in areas where muscles attach to the bones. This can lead to damaged tendons if patients aren’t careful. Patients over age 60 or on steroids are more likely to experience the complication. Then, as if hypoglycemia, comas or torn tendons weren’t enough, Cipro and its family drugs can also mess with the mind. These effects may present as memory lapses, anxiety, disorientation or even delirium, states the FDA. The FDA is urging patients who experience side effects to submit their cases to the organization. Officials do still deem these drugs helpful in scenarios of strong bacterial infection, like bacterial pneumonia. Otherwise, people should avoid these drugs unless there aren’t any other effective measures available.